Dr. K's fingers flew today. It was a positive sign! 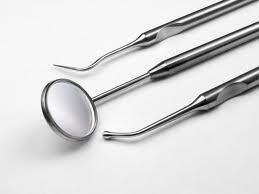 This morning I went to my beloved dentist Dr. K for a checkup. I was fully prepared to be hooked, poked and generally put through my pain paces for a good 30 minutes as he scraped, buffed and polished me back to some semblance of toothy perfection. It didn’t happen that way though. He had two toothy emergencies, so I was in and out in 15 minutes. Half the time! It was a sign! A positive sign! When I pulled in our driveway a weak sun was shining. I walked to the rear yard and saw my son Max diligently digging up the two old rose bushes, just as I had requested earlier in the week. Another sign! Another positive sign! Felco #5 clippers, a hand rake and leaf bags: My tools of choice! I looked up at the sun. I felt the breeze on my cheeks. And I knew. I knew what I was supposed to do! I tossed on an old vest and a pair of gardening gloves, grabbed my #5 Felcos and a small hand rake and began to de-leaf the garden beds around where Max was working. My “To Do” List could wait! I seized the good weather day and started my spring cleanup! Yes!! 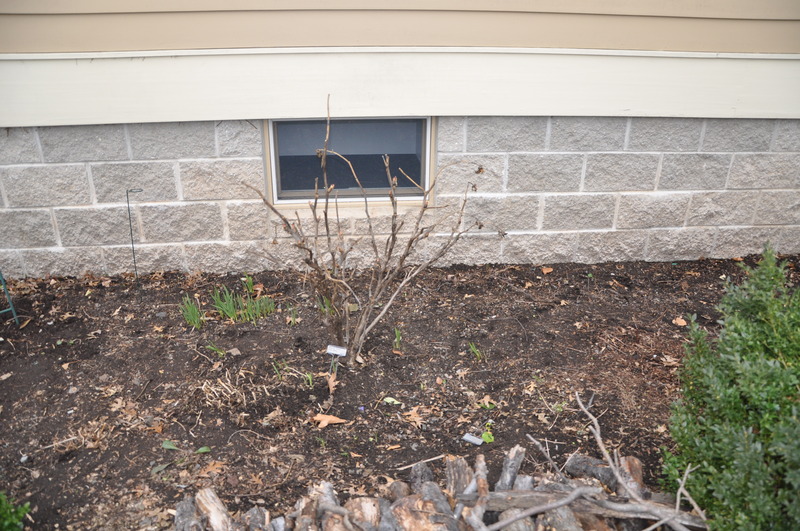 I cleared the leaves from under the spirea. 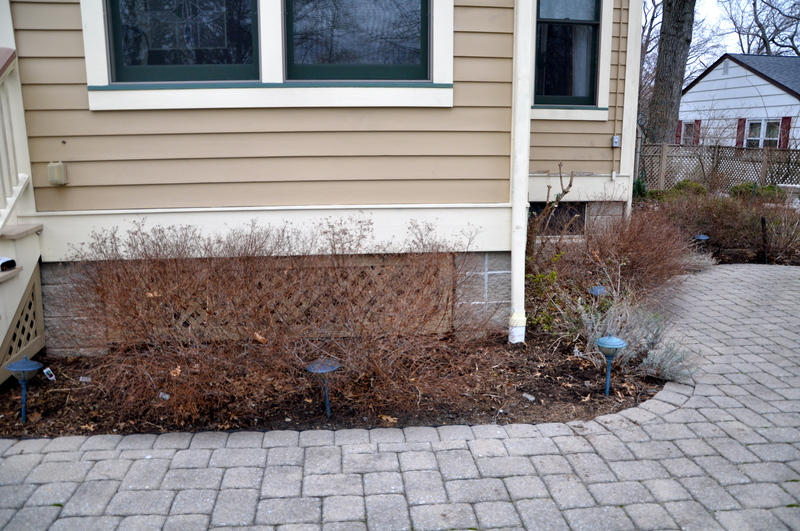 The open spot in front of the downspout is where my new climbing rose will live! The tree peony is budding up and the worms are jumping! Spring is coming! 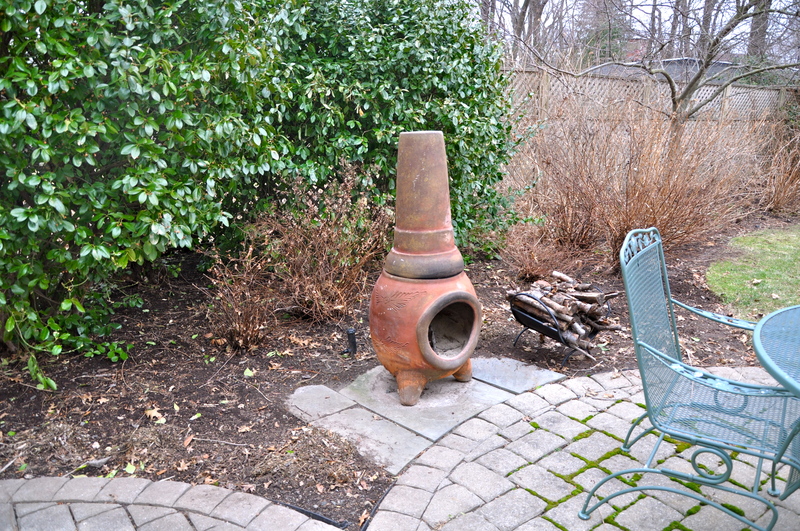 The hosta debris around the chiminea was formidable! Time kept pace with the rhythm of my clippers. 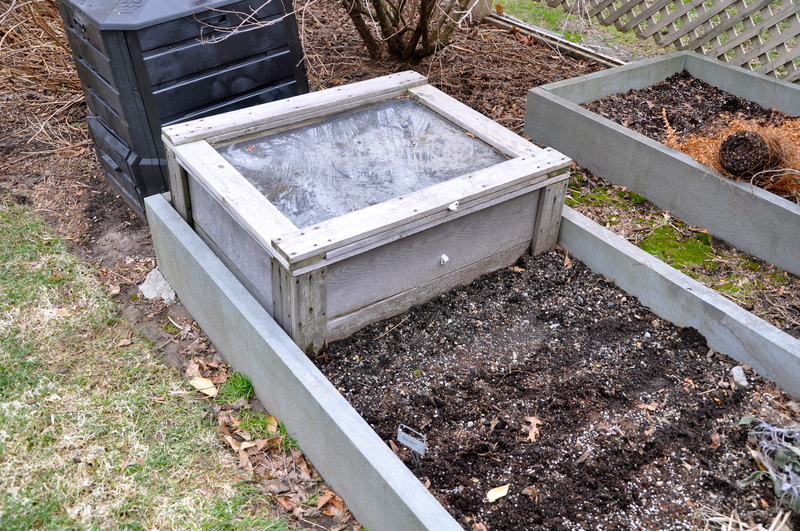 It only took a few minutes to plant some radish, bean and lettuce seeds in the cold frame. It got colder as the sun disappeared, but I kept going: I clipped dried astilbe stalks, flopped over mum branches, smushed into the ground hosta leaves, and more. 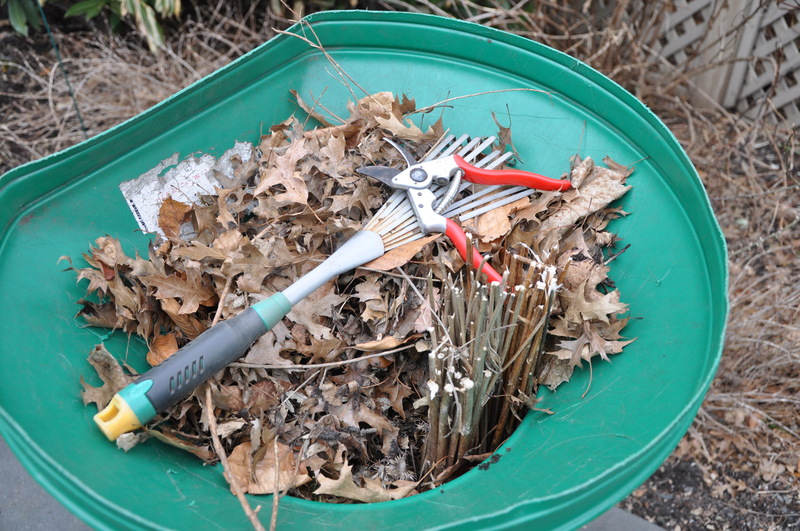 I used my trusty hand rake, the one my Dad bought me a million years ago at the dollar store, to tease oak leaves out from around the tree peonies, under the boxwoods, around the spirea. The breeze on my cheeks was colder, much colder, but I kept going. Four bags of yard stuff later I reluctantly stopped. 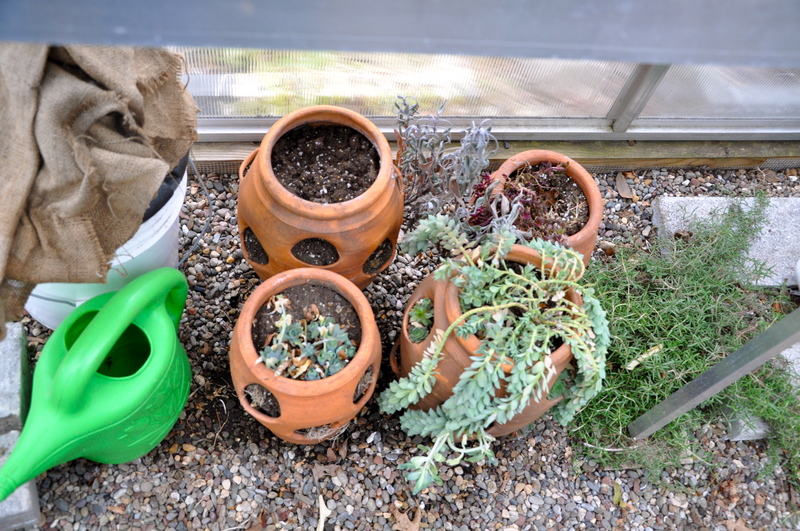 Inside my little greenhouse, a prostrate rosemary plant somehow mysteriously grew; it's the plant on the right. It's huge. . .and happy in the unheated greenhouse. I’m kinda stiff, but I have a smile on my face. Spring is coming to Northern New Jersey, my friends! And I can’t wait!! Came home from St. Louis to blooming camellias, daphne, hellebores, rosemary, & kerria. Rains today already changed EVERYTHING. Spring ! !